over. After the disposal of these objections SSP/ SP will refer the promotion lists to Police head quarter of uttar Pradesh. Its expected that any constable who was suspended and got restored recently on the post of constable they he will also get the benefit of promotion only they hold all the eligibility criteria which was adopted for preparing the promotion lists. A first interim seniority list was published on 9 January , in this total 21200 constable were included whose was appointed between joining Date 1 January 1970 to 31 December 1980 . after that objections were invited till 15 January 2014. lists will be prepared Zone wise, Area wise, District wise and PNO wise. 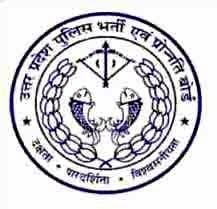 Lists are prepared on the basis of data record of Uttar pradesh police Nominal roll database system.